Venue Address: 285 Andrew Young International Blvd. Atlanta, U.S.A.
Medtrade is the largest Home Medical Equipment Expo and Conference in the US. 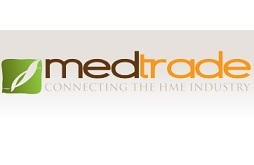 Connecting the HME industry for 34 years, Medtrade features a large expo floor filled with the leading home medical equipment manufacturers and their DME products. Thousands of durable medical equipment companies (providers) come to Medtrade to find everything from the basics to the latest innovations in mobility, respiratory, sleep, rehab, and aids to daily living.